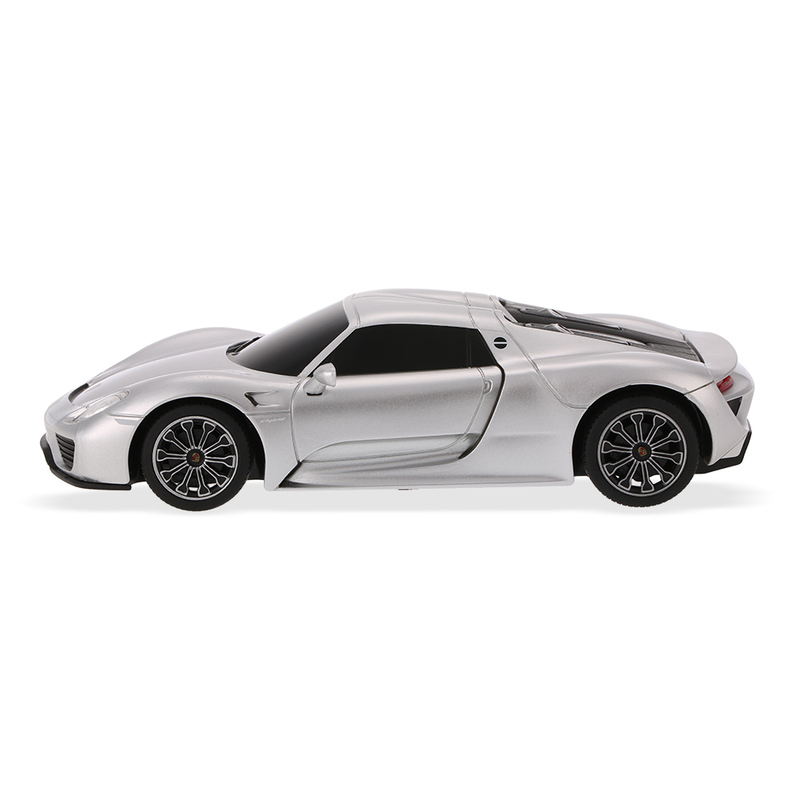 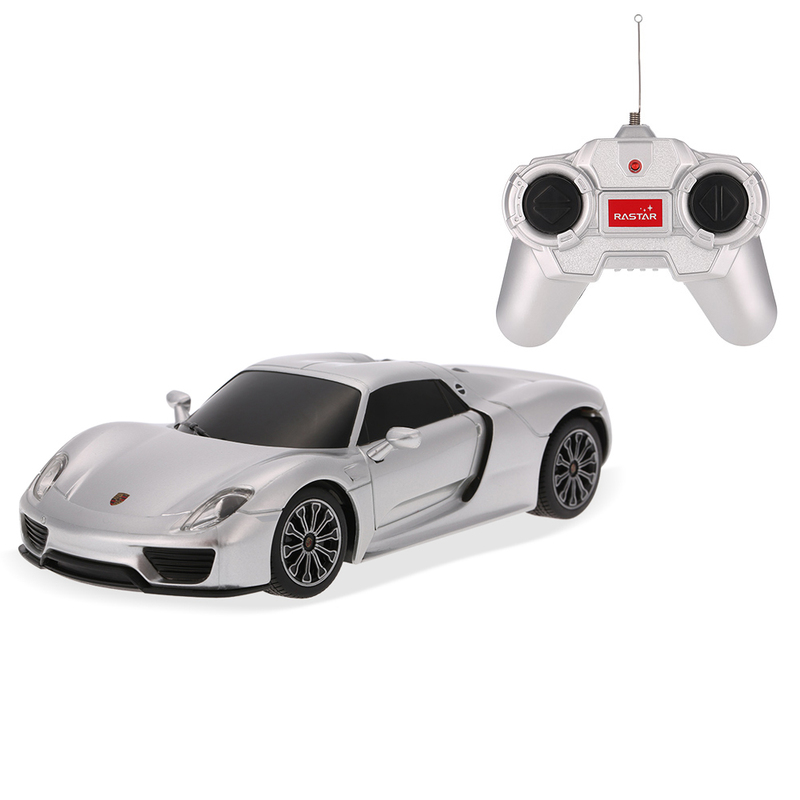 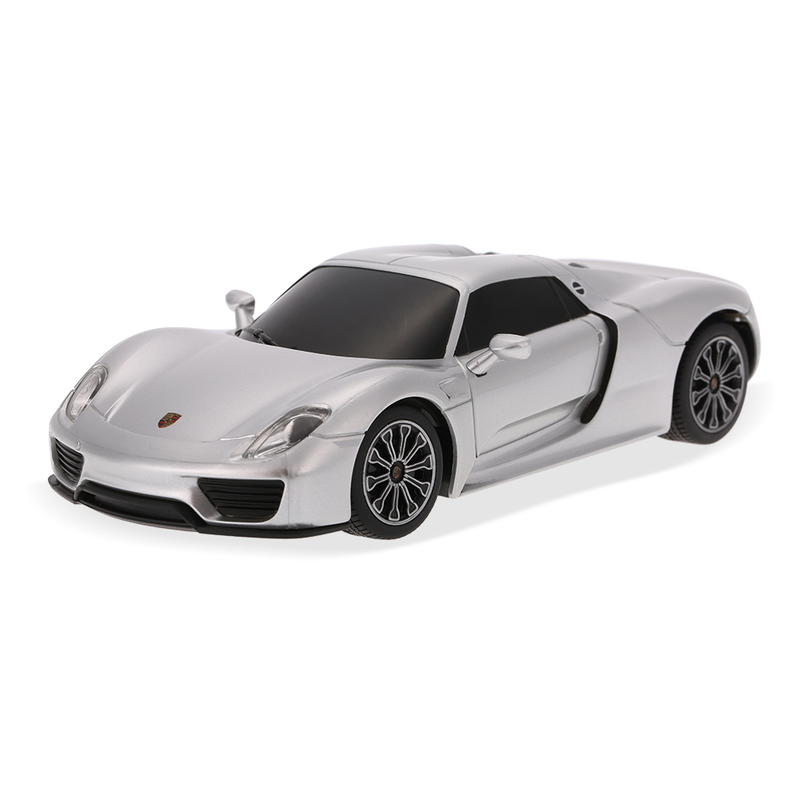 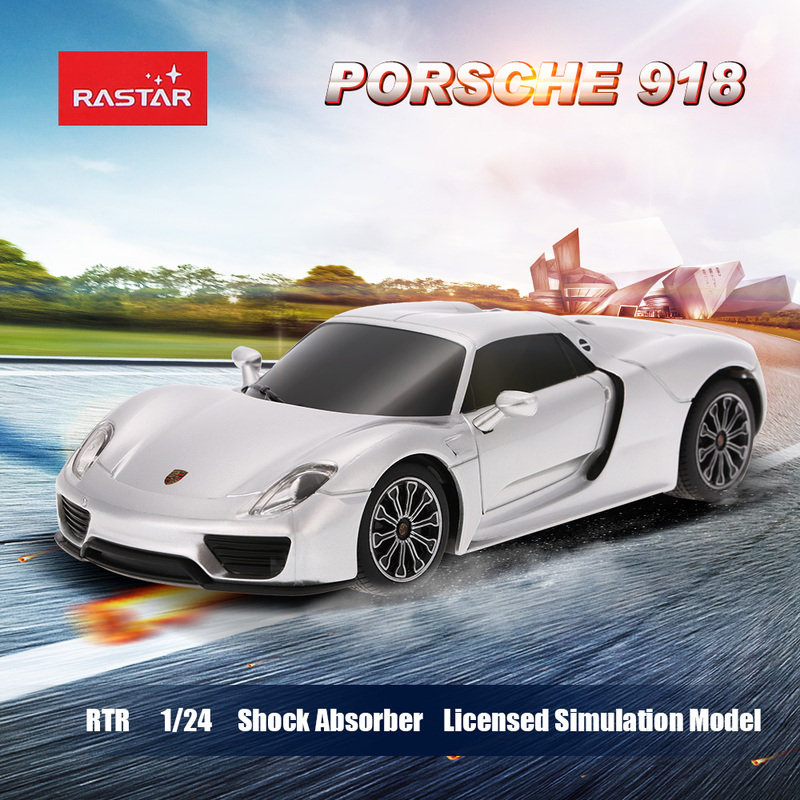 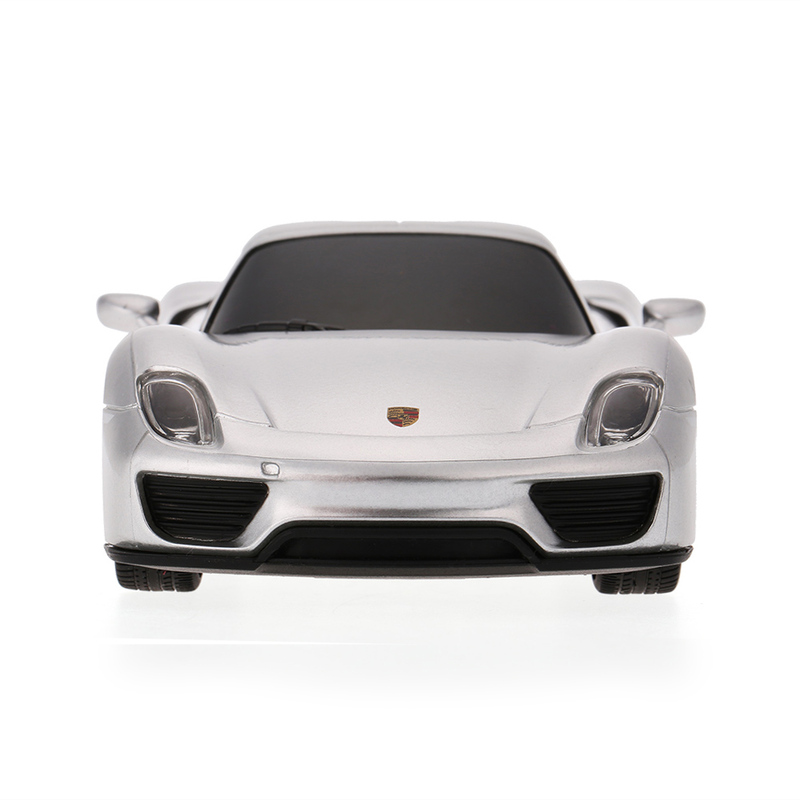 This PORSCHE 918 is a 1/24 scale RC model car, with perfect and well-finished car body, which is a great collection of simulation model or gift for children. 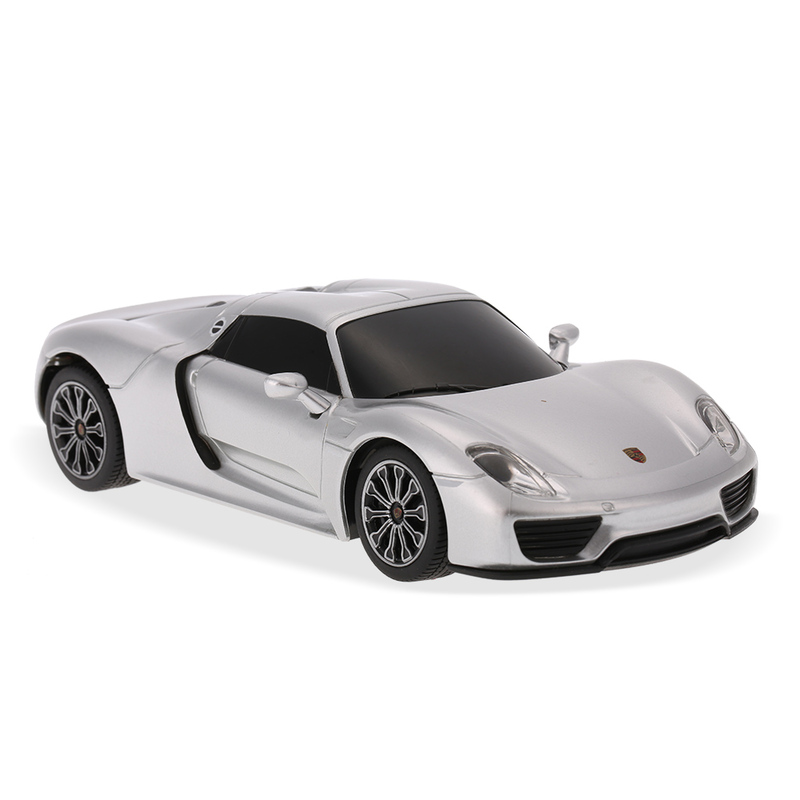 It is official licensed by PORSCHE, with a lot of details on the car shell, and even in the interior. 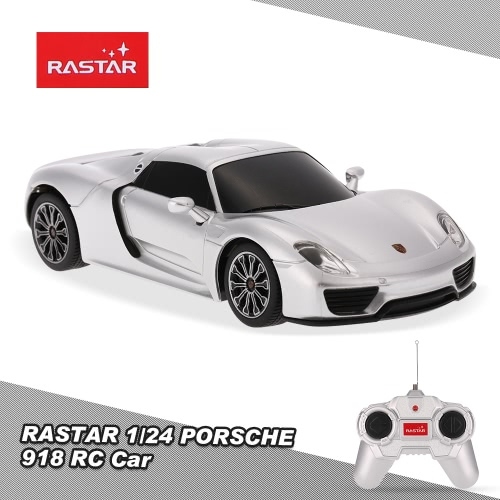 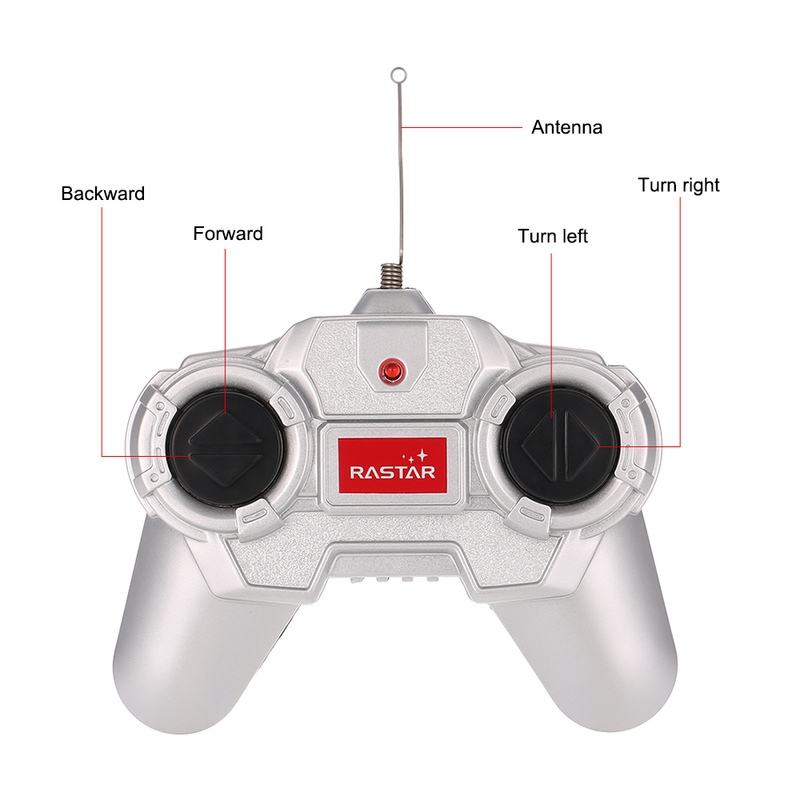 Great choice for RC model fans. 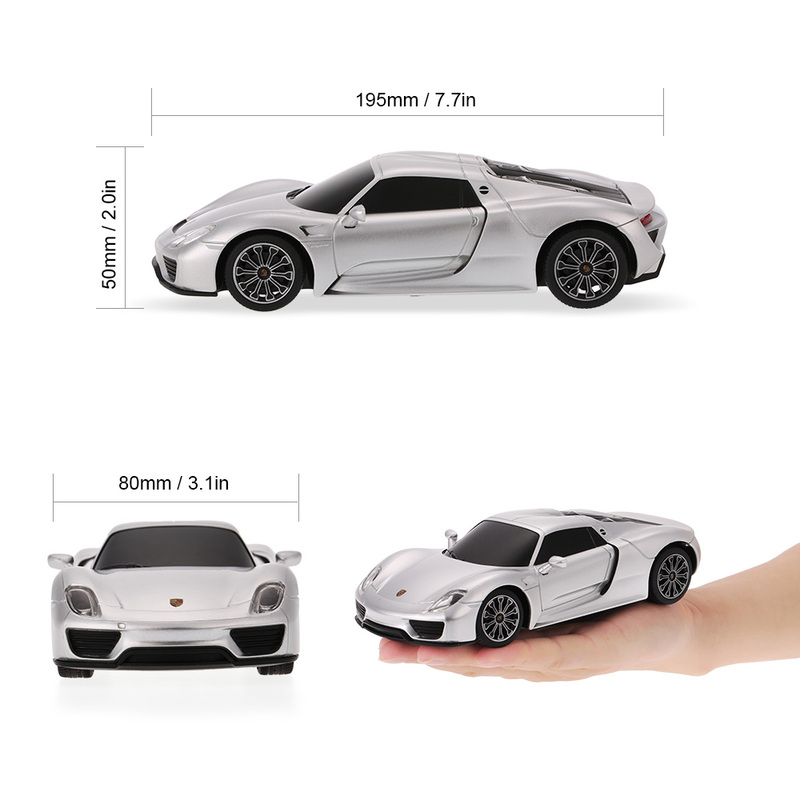 1/24 scale suitable for indoor and outdoor play. 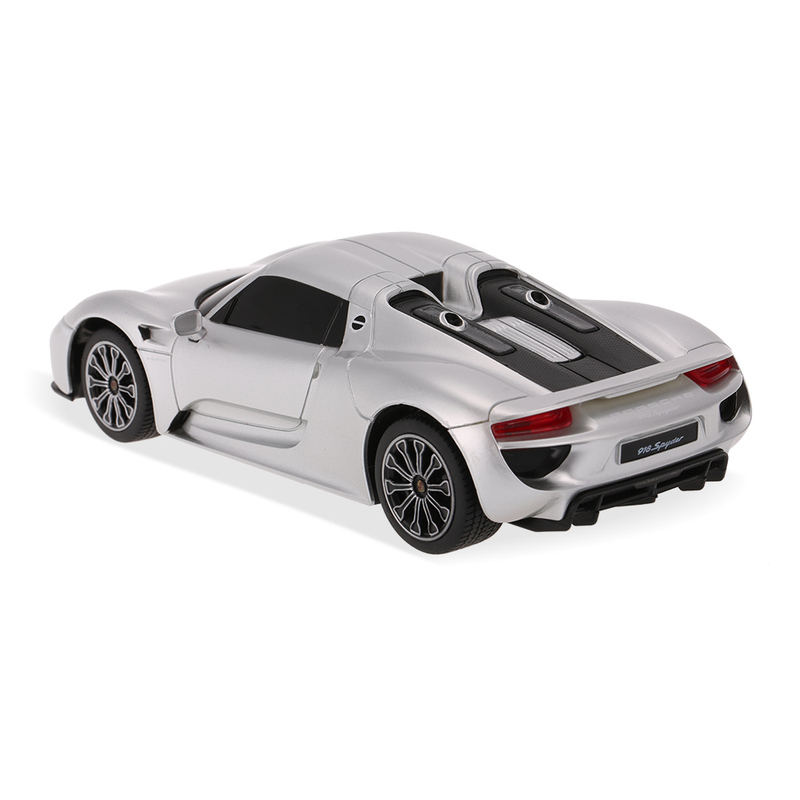 Official licensed by PORSCHE, a lot of details. 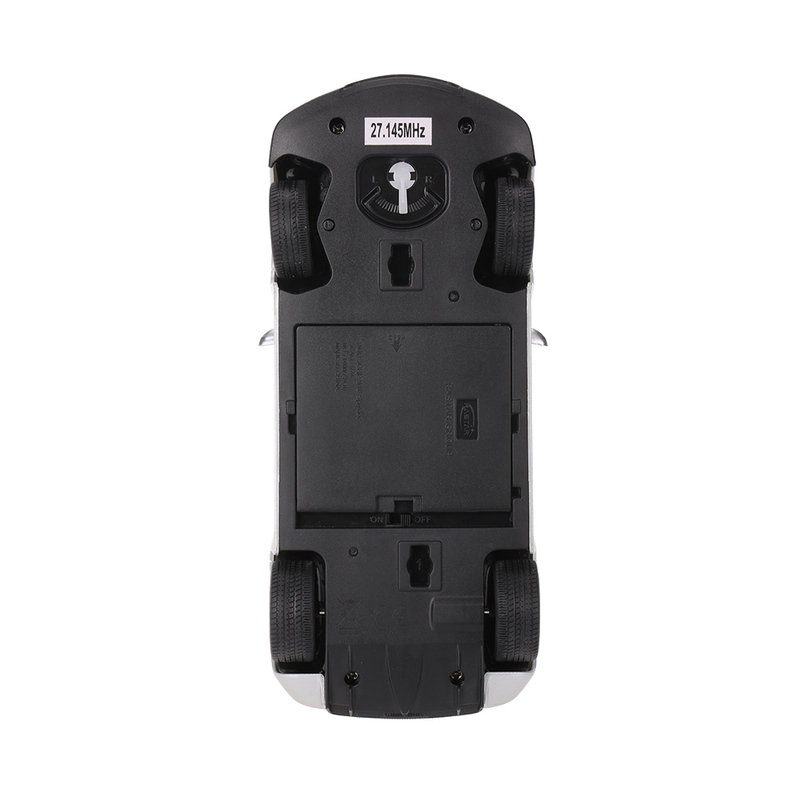 The electric car door can only be opened by remote control, to avoid damage please don't open by force.